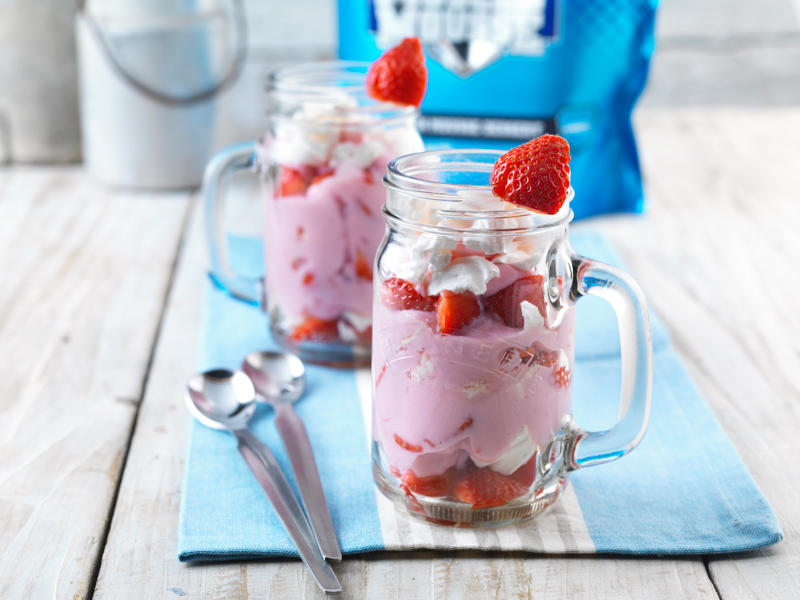 A higher protein variation of a classic Eton Mess. You could vary the recipe by using Milky White Choc Muscle Mousse instead – or make a bit of each and swirl together! Make up the Strawberry Muscle Mousse according to the pack instructions then pour into a bowl, cover and refrigerate for half an hour. Break the meringues into pieces. Place a few strawberries into the bottom of two glass tumblers and set a few more aside. Gently mix the remaining berries and most of the meringue into the Muscle Mousse and spoon into the glasses.